LEGO Pirates of the Caribbean Officially Announced. Looks like Disney was happy about working with LEGO on the Toy Story LEGO sets and Duplo Cars set. 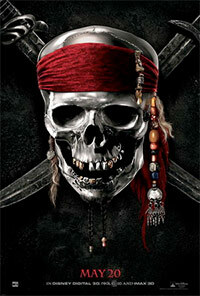 Today, they announced a new partnership with LEGO revolving around the Pirates of the Caribbean film franchise. There will also be a LEGO Pirates of the Caribbean game, created by TT Games, who is behind the current LEGO-themed video games. The actual LEGO sets (and video game) are going to focus on all four of the movies, including the upcoming movie, Pirates of the Caribbean: On Stranger Tides, which is based on the pirate novel On Stranger Tides (Wikipedia) and is set to come out in May of 2011. Initially there will be eight LEGO sets released in the Spring of next year. This is pretty exciting news. There have been rumors swirling around about Disney and LEGO working together on a Pirates of the Caribbean theme for a long time, going back to even before it was clear that the Pirate theme was going to take a bit of break. With the 10210-1 Imperial Flagship (Brickset) being potentially the last Pirate set for a while, combined with the Toy Story and Cars LEGO and Duplo themes being announced, speculation kicked into overdrive. All the way back to December of last year when I posted some observations about a retail LEGO store and then January 1st of this year when I mentioned that the Imperial Flagship was available at the online LEGO shop, I was even speculating about it. Perhaps wishful thinking would be a better term! We received about a dozen emails about this, and appreciate the heads-up.